THE SEAVISION™ SYSTEM IS A REVOLUTIONARY NEW TAKE ON SUBSEA 3D LASER IMAGING. SeaVision™ is the world’s first full colour, underwater laser imaging system that offers the resolution, range and scan rate to deliver dense 3D point cloud images of subsea infrastructure with millimeter resolution in real time. The system is designed for deployment on underwater robotic platforms such as Remotely Operated Vehicles (ROVs) and Autonomous Underwater Vehicles (AUVs). SeaVision™ uses a full colour laser scanning process that’s repeated thousands of times per second to generate coordinate values of millions of points on a reflected surface. The coordinates and intensity associated with each reflected laser pulse are processed in real time to generate an ultra-high resolution point cloud. Designed to operate in a twin scanner configuration, with adjustable baseline, SeaVision™ can generate very high resolution 3D scans in full color. This is due to one of the unique features of SeaVision™ which uses a Tri-Color laser system to produce full color imagery. Each unit has a low-light underwater camera, a high-power LED light, and steerable RGB-line lasers. No longer limited to black and white scans, SeaVision brings subsea laser imaging into vivid color. 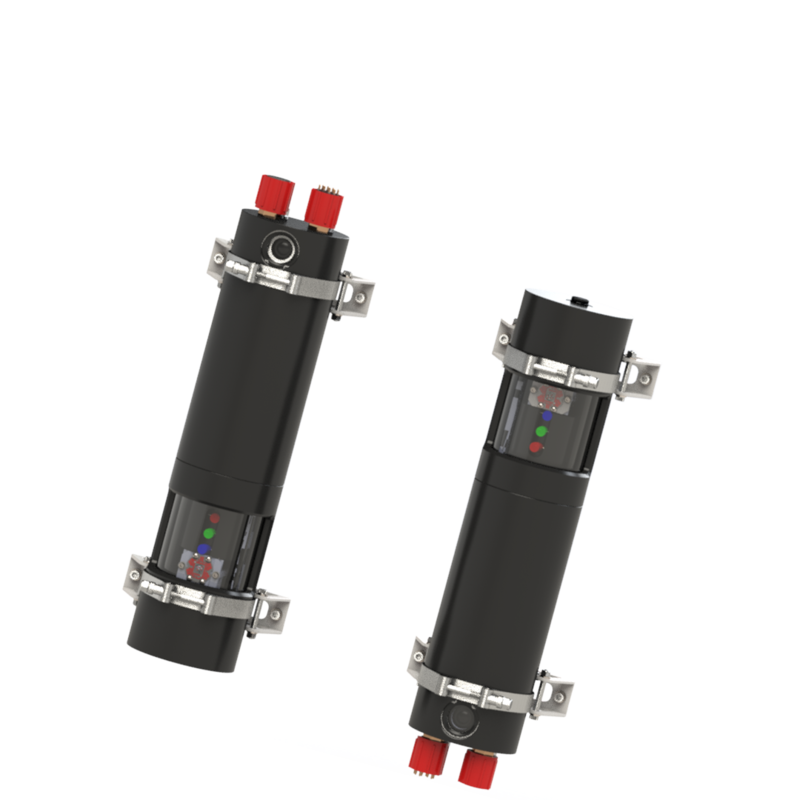 The Kraken Robotik GmbH (KRG) was founded in 2016 with the aim of developing sensors and software for next generation smart subsea systems. KRG is a spin-off from the German Research Center for Artificial Intelligence (DFKI) founded by Dr. Jakob Schwendner, Dr. Sylvain Joyeux and Alexander Duda. KRG is established as a subsidiary of Kraken Sonar Inc., a Canadian company who is specialized in synthetic aperture sonar and subsea robotics technology. We are looking for talented Software Developers / Web Developers for our Bremen/Munich office (Full-time, part-time or students). Please let us know if you are interested. SeaVision™ can produce a 3D scan of 1.2 million colored points in under 4 seconds. SeaVision™ uses two highly sensitive color cameras. These cameras are also available for video and monitoring purposes. 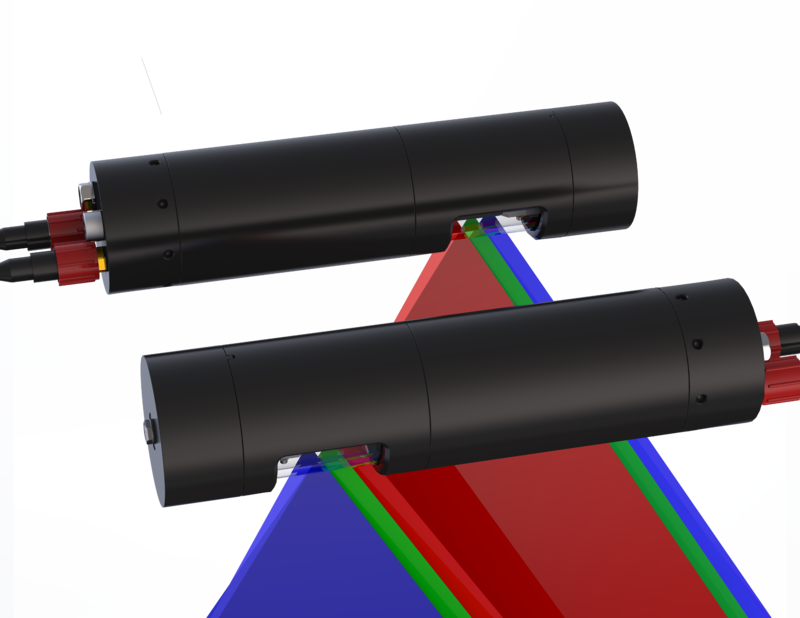 The twin pod design allows for flexible mounting options to fit a variety of platforms including ROV’s and AUV’s. The 85° x 65° field of view per pod permits large coverage area of over 100 m2 with a single scan. The auto-calibration procedure allows the system to be mounted at-sea without the need for a specialist or technical support. Innovative on-board processing techniques uses internal motion compensation to produce full 3D scans even on moving platforms. The scans have a resolution up to 1 mm depending on the configuration. A 1300 lm LED light in each pod makes the color cameras usable to produce high-quality video data. A web-based user interface gives access to all features of the device, and can be used on any system with network access to the device. ST. JOHN’S, NEWFOUNDLAND and BREMEN, GERMANY – (Marketwired – 28 March 2017) – Kraken Sonar Inc. (Kraken) (TSX-V: PNG) announced today that its subsidiary, Kraken Robotik GmbH, will introduce its new SeaVision™ system at the upcoming Ocean Business conference to be held in Southampton, UK from 04 – 06 April, 2017. SeaVision™ is the world’s first full colour, underwater laser imaging system that offers the resolution, range and scan rate to deliver dense 3D point cloud images of subsea infrastructure with millimeter resolution in real time. 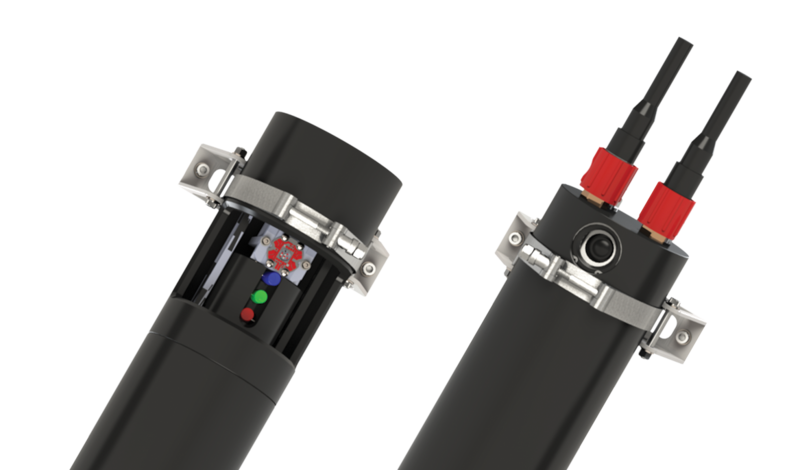 The initial system is designed for deployment on underwater robotic platforms such as Remotely Operated Vehicles (ROVs) and Autonomous Underwater Vehicles (AUVs). A compact, hand-held system for divers is planned for future release later this year. If you would like to receive more information, follow us on social media, or send us a contact request.